Worcester is at the heart of innovation. Access to capital, advanced manufacturing capabilities and affordable real estate provide the resources your company needs to grow. Find out how the Worcester Inovation Network can provide the resources and community you need to succeed. THE CREATIVE HUB is a dynamic space for the visual arts in Worcester where artists will work and interact in a creative environment. It is a hub for both emerging and established visual artists, a gathering place for art lovers of all ages, and a stimulating center for undeserved members of the community. 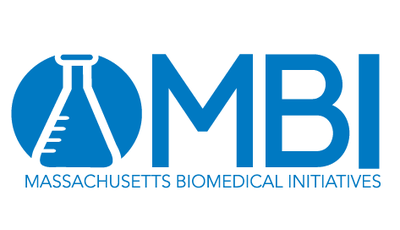 Massachusetts Biomedical Initiatives (MBI) is a private, non-profit life and health science incubator facility in Worcester, MA. MBI catalyzes innovation by providing startup biomedical companies with flexible private laboratories, shared equipment access, and support services that allow them to focus on growing their business and creating jobs. The Massachusetts Digital Games Institute (MassDiGI) is a statewide center, designated by the Commonwealth, for academic cooperation, entrepreneurship and economic development across the Massachusetts digital and video games ecosystem. Technocopia makerspace offers common work space, rental bays, and a variety of tools including: complete wood shop; classroom and computer lab; 3d printer station; digital fabrication shop, including a CNC mill and laser cutter; flameworking shop; sewing station; and metal shop! Every Thursday night we are open to the public for our Open Hacks and Crafts event. Worcester CleanTech Incubator provides turn key office space with conference rooms, event space, a communal electronics lab and computational assets. WCTI partners with neighboring Technocopia to provide a full suite of prototyping capabilities to it’s members. In addition, WCTI's partnership network consists of potential channel partners, investors, and business support. We are a nonprofit membership based organization and do not ask for equity in return for space and services. Visit www.wcti.org for more information.